Following the recession and financial downturn for many of the local and state governments, investors are reluctant to put their trust back into newly issued municipal debt. Besides, they are also skeptical about the strength of the recently enacted regulations to prevent or soften the blow of the next potential downturn of financial markets. The investor skepticism isn’t limited to merely the municipal debt markets but spread across all investment instruments. Since the majority of the municipal debt investors aren’t too informed about the intricacies and debt structures of municipal debt, their decision-making is heavily reliant on credit ratings. 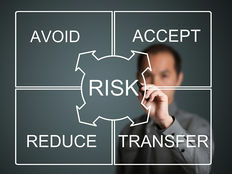 The perfect example comes from the Collateral Debt Obligations (CDOs), which were sold before the 2008 financial collapse with AAA ratings and as insured investment instruments; however, the mortgages backing these debt instruments were of very poor quality and eventually investors had to bear the loss of failing CDOs. In this article, we’ll take a closer look at municipal debt issued in the primary capital markets and its trading in the secondary capital markets, the intricacies of the municipal debt pricing based on the risk of default from the municipality, and the how the financial health of local governments plays a role in rebuilding trust in newly issued municipal debt. How the Primary and Secondary Capital Markets Operate? The concept of primary and secondary capital markets is unanimous with both equity and debt markets. In the primary capital markets, investors can buy their desired securities directly from the issuer. Initial Public Offering (IPO) is a commonly used term to do with a company going public and selling their stocks in the primary capital markets for the first time. The same concept applies to the municipal debt, when a municipality is structuring a debt issuance they hire a whole team of experts comprising investment bank (underwriter), bond counsel, municipal advisor and other consultants based on the debt being issued. The underwriting firm will structure the deal and take it to market on behalf of the municipality. In reality, the primary markets are made up of large institutional investors that will buy a large chunk of the securities being issued. This is also desired by the municipality due to their need to raise large amount of capital in a short period of time. Furthermore, the underwriting firm will have a good gauge of the interest for the type of debt they are underwriting and market that debt accordingly. The secondary markets are comprised of investors trading securities amongst themselves and the issuer has no part in those transactions. The same concept applies to both debt and equity instruments. For individual investors, their capital is often not enough to take part in the primary markets or the Initial Public Offerings; so, the secondary markets better serve their interests. Due to high trading volumes, investors can quickly determine the liquidity of their investments in the secondary market. The purchase price of a security in the secondary market fluctuates with the investor demand of interest and is no longer related to the initial price paid to the issuer. Check out how municipal bonds work and the transaction costs involved. In the primary markets, the marketing efforts of the underwriting firm often determines the market interest for the given debt instruments and, therefore, the price. The base concept for pricing of a debt instrument reflects the market’s pricing on risk of default of that municipality or its preparedness to withstand the next financial downturn. For example: General Obligation debt that’s primarily backed by the main funding source for the general fund of that municipality, which in most cases is property tax revenues. 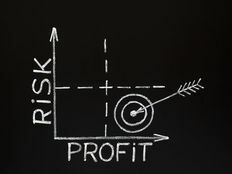 Both the credit rating agencies that are placing their rating on the strength of the issuance and the institutional investors that are investing their capital are both carefully analyzing the preparedness of the municipality and the worst-case scenarios for the general fund in the next financial downturn. The similar concept applies to special revenue debt that’s backed by specific revenue for the local government, e.g., water and wastewater bonds. The local governments that showcase better fiscal health and financial preparedness pay a lower risk premium, which is indicated through a lower coupon rate. Similarly, the low risk premium security is often sold at a lower yield in the secondary markets due to its safety. Be sure to check this article to remain aware of the due diligence process for evaluating municipal bonds. For more sophisticated investors, the secondary markets can help them construct better and more complex portfolio structures. For example, investors looking for callable bonds will have better options on municipal bonds with different durations before the calls can be exercised. This piece of information can affect bond prices, presenting some reasonable investment opportunities. Given the choices and different varieties, there can be some pricing discrepancies that may allure investors to tilt toward the secondary markets that offers better pricing transparency because of larger trade volumes. 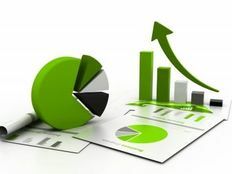 In the primary markets, investors are typically only looking at a few new issuances that make it easier for them to perform their due diligence and research before making their investment. However, in the secondary markets, where there is wide availability of municipal debt, investors may strictly focus on the pricing & bid-ask aspects of municipal bonds. Be sure to visit our Market Activity Section here to explore recent muni bond trades. As more oversight and scrutiny is being introduced to any and all new debt issuances, issuers are also becoming more prepared for their own good and future debt issuances. For instance, SEC’s increased oversight has made sure that underwriters and credit rating agencies carefully vet their clients (i.e muni bond issuers), require them to file regular and mandatory disclosures, and assess their preparedness for a potential downturn. Additionally, fiscal responsibility that leads to better fiscal health has a significant influence on the fixed income yields in the secondary bond markets. Furthermore, before considering any municipal debt investments, it is imperative to familiarize yourself with the revenue streams backing the debt and the official statement of the issuance to see if it fits your own investment objectives.